Our mission is to web enable IPS to better service our existing and new clients... by tapping into the Internet's incredible potential to communicate. We are good at what we do and have been doing it successfully since 1975. 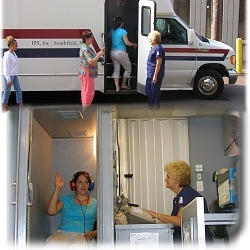 Industrial Paramedical Services has been providing complete Multi-Phasic Mobile health testing services to over 800 Midwestern plant facilities since 1975. 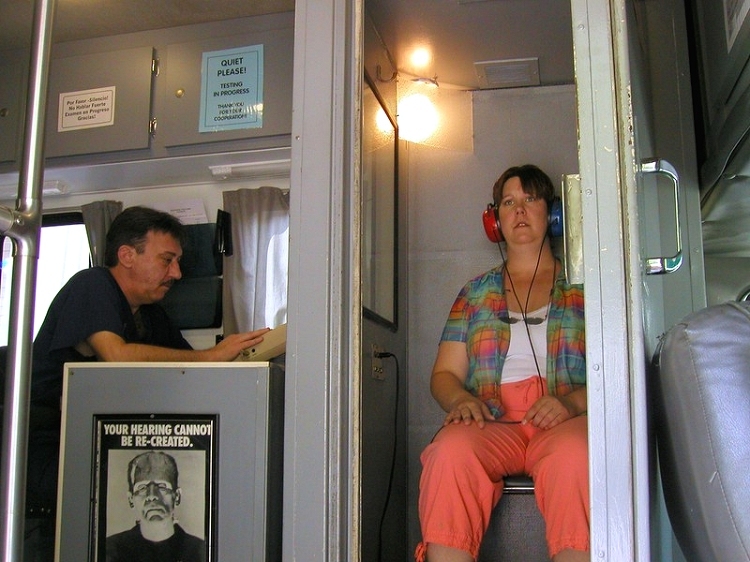 We specialize in on site hearing tests for your employees utilizing copyright protected audiogram reports. Our clients include major manufacturers in the automotive, utilities, construction, petroleum, aero-space, airport workers and metal fabricating fields. 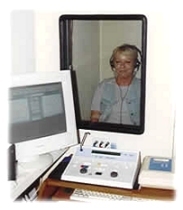 Our visual presentation audiometric 8 year record transcends language barriers and reinforces a real "fear of hearing loss" that motivates the employee to self-enforce the proper use of hearing protection. 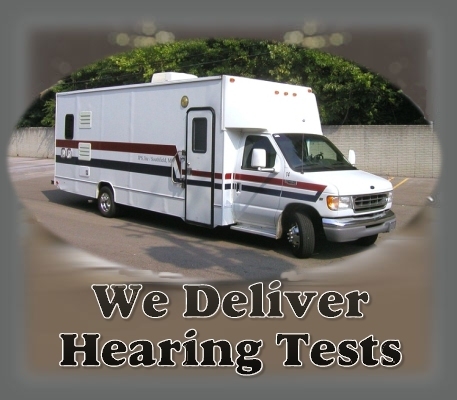 Early detection of hearing loss can alert both parties to the need for improving hearing protection, i.e. combining ear plugs with ear muffs. IPS also can furnish your company with easy to comprehend literature and videos as part of a complete health and safety education program.